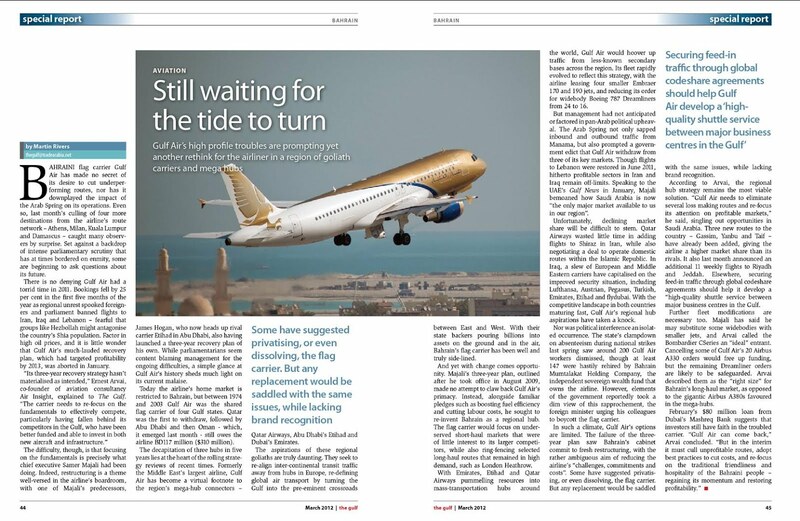 Bahraini flag carrier Gulf Air has made no secret of its desire to cut underperforming routes, nor has it downplayed the impact of the Arab Spring on its operations. Even so, last month’s culling of four more destinations from the airline’s route network – Athens, Milan, Kuala Lumpur and Damascus – caught many observers by surprise. Set against a backdrop of intense parliamentary scrutiny that has at times bordered on enmity, some are beginning to ask questions about its future.